Steve Jobs first showed off the Macintosh computer at a shareholders meeting on Jan. 24, 1984, almost exactly thirty years ago. The shareholders meeting has survived on YouTube and been well known for a while. However, a brand new video has recently appeared for the first time in thirty years in which Steve Jobs shows off the new computer to the public for the first time at the Boston Computer Society. Filmed just a few days after the shareholders meeting, in this a far more interesting and well organized presentation, definitely worth a watch. Time writer Harry McCracken tracked the footage down to the cameraman's garage, who forgot that he had it. 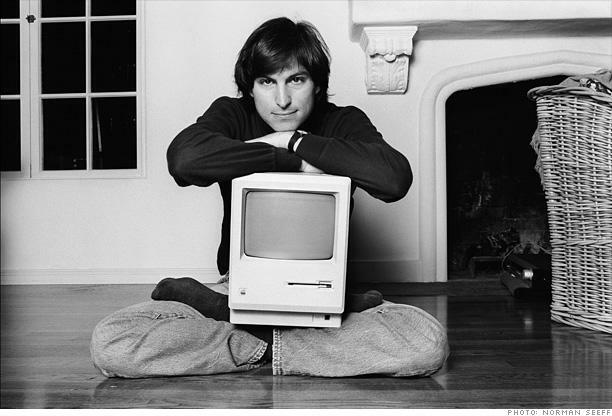 In the video, Steve Jobs compares the affordable computer taking over the IBM dominated office space to the invention of the telephone replacing the booming demand for bulkier telegraph machines, essentially putting them in a different category of competition all together. Not all that different to today, really. Now, if you go back about a hundred years, to the 1880s, there were approximately twenty, twenty-five thousand trained telegraph operators in the United States. And you really could send a telegram between Boston and San Francisco, and it'd take about three or four hours and go through the relay stations. It really worked. And it was a great breakthrough in technology that had been around for about thirty or forty years. And there were some people that talked about putting a telegraph machine on every desk in America to improve productivity. Now what those people didn't know was that about the same time, Alexander Graham Bell filed the original patents for the telephone — a breakthrough in technology. Because putting a telegraph on every desk in America to improve technology wouldn't have worked. People wouldn't have spent the twenty to forty to a hundred hours to learn Morse code. They just wouldn't have done it. We are at that juncture in our industry right now. There are people suggesting that we should put a current generation box on everyone's desk to improve productivity. A telegraph, if you will. And we don't believe that. We don't think it'll work. People will not read those damn 400-page WordStar manuals. They won't carry around these cards in their pockets with 150 slash-W-Zs. They're not going to do it. Steve Jobs' first display of the computer might have been more important, but when it comes to which is the better watch, there is no comparison. The 90 minute video has crowd reaction, lighting, production value, and intensity on a totally different level. There is even an interesting Q&A from the original Mac team following his speech, which is quite interesting too. The newly uncovered video will now be preserved by the Computer History Museum, and pieces were shown off at the Apple 30th Anniversary party over the weekend.